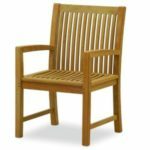 Windsor’s 3pc Premium Grade A Indonesian Plantation Teak Bar Set, 39″ Round/70lbs Folding Dropleaf Bar Table and 2 Folding Bar Chairs ,World’s Best Outdoor Furniture! Amazon Price: $1,295.00 $1,295.00 (as of January 25, 2019 5:02 pm – Details). Product prices and availability are accurate as of the date/time indicated and are subject to change. Any price and availability information displayed on the Amazon site at the time of purchase will apply to the purchase of this product. We offer Grade A Premium Teak products…If a company advertises ONLY "Solid Teak"..it's probably not Grade A Premium Teak. ….. The Nassau 39" Round Drop Leaf Bar Table W/2 Mallorca Folding Bar Chairs. The dropleaf table is very smart and versatile. It can be used with one leaf up or both leafs up and when folded it can be stored in 8" .The table also comes with a cap covered umbrella hole and a built in umbrella base. The Mallorca folding chairs are great looking, very comfortable and can be stored in 6" of space. Comes assembled. Table 39" Round 43"H 70lbs, Chair 22"W 29"D 44"H 15lbs All Grade A Heirloom Quality Teak, harvested after 45-50 years from sustainable Teak plantations. Only the hearts of the trees are used in Grade A Teak furniture. * Superior craftsmanship with machine-made mortise and tendon joints that provides maximum dependability along with marine grade stainless steel hardware. * Finally, our teak is Kiln-Dried before construction to an optima moisture content of 8-12%. Not sun-dried or air-dried. This allows for the furniture to dry to the core and reduces cracking, splitting, and warping for decades. 5 YEAR WARRANTY. 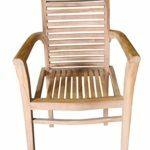 Windsor Teak Imports warrants to the original purchaser, that our teak furniture is free of defects in material and workmanship. Click below for complete warranty. 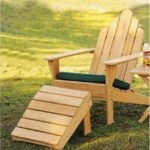 Tagged Windsor Teak Furniture, World's Best Outdoor Furniture!